The NFL logo on the Denver Broncos' football field, Sunday, Nov. 12, 2017. The league is committing $90 million over the next seven years to social justice causes in a three-segment plan that involves league players. In a memo sent to the 32 teams on Friday, Dec. 1, and obtained by The Associated Press, the league unveiled what it calls a new and expanded program of community improvement. 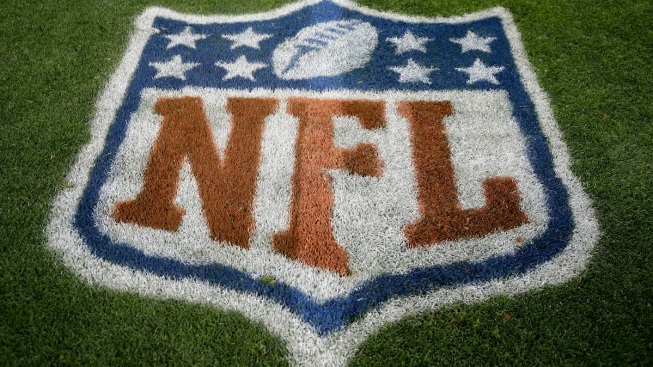 The NFL Foundation is putting a $3 million grant into the program. Each NFL team will contribute to the plan, much of which will be funded through "cause related events and consumer products sales, auctions and other promotional sources." as well as contributions from clubs. In a separate memo, Anna Isaacson, the league's vice president for social responsibility, provided details of the program. She noted financial commitments, use of government resources, and promoting community endeavors by the players. "Social justice may mean different things to different people and organizations," Isaacson wrote. "The NFL's work will encompass programs and initiatives that reduce barriers to opportunity, with a priority on supporting improvements in education, community/police relations and our criminal justice system. Additional focus areas include poverty, racial equality and workforce development." NFL owners and executives met with players, who formed a Players Coalition, in October during the league's fall meetings in New York. There also were extensive phone conversations, NFL spokesman Joe Lockhart said. At the end of November, San Francisco 49ers safety Eric Reid said he left the coalition because founder Malcolm Jenkins of the Philadelphia Eagles excluded Colin Kaepernick from meetings, and asked players if they would stop protesting the anthem if the NFL made a charitable donation to causes they support. Isaacson said in her memo that "a more thorough presentation on plans for the 2018 season, including locally focused initiatives based on joint actions of clubs and their players" will be presented at the annual league meetings in March. Players don't usually attend those meetings, but are likely to be invited for portion of them in Orlando. In November, the president tweeted: "The American public is fed up with the disrespect the NFL is paying to our Country, our Flag and our National Anthem. Weak and out of control!" Trump has branded the league as "weak" for not requiring players to stand during "The Star-Spangled Banner."